wee words for wee ones: Happy Poem In Your Pocket Day! 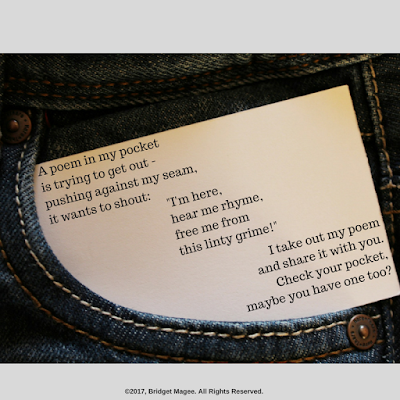 Today is Poem In Your Pocket Day and I am sharing a poem I've shared before, but with a new presentation style. Which poem is in YOUR pocket? Love your presentation, Bridget, and "this linty grime". I don't have one, but am giving out a whole bunch today at the bookstore! Have a grand day sharing!